It's easy to see why the Olympus TOUGH range is so popular. Few other rugged water-proof compacts provide such a wide range of features. There are models with longer zoom ranges and others that will allow you dive deeper, but the TG4 allows you more control and a wider choice of options, whether that involves making your own choices about exposure, adding converter lenses or getting really close in for impressive macros. If you like to be in control and are used to having manual control over exposure, the ability to shoot in low light with a fast lens and the option to tweak RAW files for better results, you won't find a rugged water-proof compact better than the TG4 and you'll consider the price premium well worth paying. The Olympus Stylus TOUGH TG4 is the latest in a line of water-proof rugged compacts that have been a popular favourite with outdoors enthusiasts for many years. The TOUGH TG4 retains the 4x 25-100mm equivalent of its predecessor, the TG3, along with its bright f2-4.9 maximum aperture. New to the TG4 are a redesigned mode dial with several new shooting modes, AF target selection and, unusually for a compact model, RAW shooting. Now for the important stuff on a rugged camera: the TOUGH TG4 is water-proof to a depth of 15m, shock-proof to 2.1m and freeze-proof down to -10C. Olympus also quotes a crush-proof figure of 100Kg, so you don’t have to worry if you sit on it while it’s in your back pocket, or worse. It can shoot continuously at full resolution at a speed of 5fps and the TG4 also has a couple of faster reduced resolution 3 Megapixel continuous modes in addition to an interval timer for creating time-lapse movies. As well as a best quality 1080 / 30p HD movie mode it also has a couple of reduced resolution slow motion movie modes. These features make the TOUGH TG4 a good all-round performer, one of the reasons it continues to be popular with all kinds of outdoors types from free climbers and snow boarders to sailors and surfers. It’s also a great choice simply for taking to the beach for fun snapshots. But the TG4 isn’t the only rugged compact on the beach these days and virtually every manufacturer has a water-proof compact in their line-up. So which one should you choose? To help you make that decision I’ve reviewed a selection of rugged water-proof compacts ranging from the budget to the premium. In this review I’m comparing the TOUGH TG-4 alongside it’s stablemate the TOUGH TG860 and Nikon’s COOLPIX AW130. If you’re on a tight budget, or are looking for a more basic water-proof compact with good ease-of-use-features, take a look at my upcoming Nikon COOLPIX S33 and Canon PowerShot D30 reviews. The design of the TOUGH TG4 has remained fairly consistent since the introduction of the TG1 back in 2012. 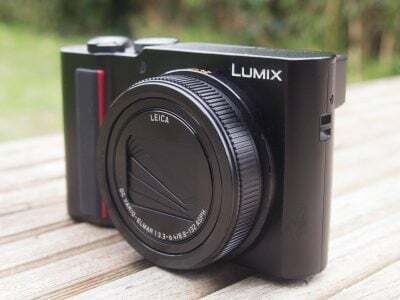 One thing that makes it stand out from the crowd is its centrally positioned lens – most water-proof compacts locate the enclosed lens on the top left corner of the body. 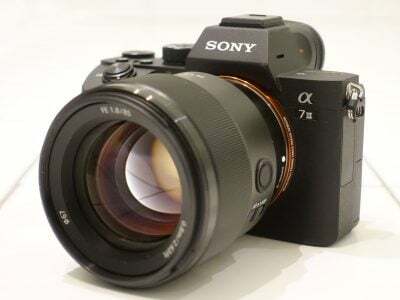 Though it more closely resembles a conventional compact the TG4 lens elements are still enclosed, so nothing protrudes when you turn the camera on. There’s a removable bezel surrounding the lens which detaches so you can fit attachments – I’ll talk more about those in the lens section below. The built-in flash is located above and to the left of the lens (as you hold the camera) and on the right side there’s a chunky grip. My review model was finished in black with red details and there’s also a red version which I think looks even better and has the advantage of being more visible should you drop it. Screwed to the right side is a robust-looking metal bar for attaching a strap. It’s not particularly well suited for use in the water, though. The design and materials are similar to a compact neck strap, in other words it’s a stitched fabric strap, but with a single attachment and a loop big enough to fit your hand through. The problem is the loop is very loose fitting (I could fit both my hands through it) so you still need to keep a firm grip on the camera at all times – which can make swimming tricky. The Canon D30’s strap, which is adjustable, is a lot more secure. The top plate doesn’t look pretty, but you can feel your way around the angled plates to easily locate the on/off button, shutter release and zoom rocker. On the opposite side of the central hub housing the GPS and Wifi antennas are two small holes where the stereo mics are located. Round the back to the right of the screen you’ll find a mode dial with a dedicated position for underwater shooting – a four-way controller, buttons for info overlays, playback and menus, plus a video record button just to the right of the thumb pad. The TOUGH TG4 has a 3 inch 3:2 proportioned screen with a resolution of 460k dots. Full resolution still photos are 4:3 proportioned which means the screen has narrow lack bars down the sides when shooting at full 16 Megapixel resolution. Conversely when you’re shooting and playing back 16:9 HD movies there are black bands top and bottom. I found the screen provided a good view in most situations and worked well underwater. It has a wide viewing angle both horizontally and vertically and the graphic overlays are large and clear enough to read even in the water. The combined battery and card compartment is in the base of the camera and the door is double-locked; to unlatch it you must slide a small tab towards the rear before sliding the main lock to the side. Then to close it up is the reverse procedure. The same system is used for the side door covering the micro HDMI and A/V / data / charging port. The battery is same LI-92B used in the earlier TG3 and provides enough power for 300 shots, not as good as the 370 you’l get with the COOLPIX AW130, and if you make extensive use of the GPS or Wifi that number will reduce significantly. Remaining power is shown on screen by a three segment battery graphic. The battery is charged in the camera via the A/V / charging port. There’s a supplied A/C charger and a cable with a USB connection at one end and a proprietary connection to the camera at the other. so you can plug in and recharge from a laptop, car adaptor or any other convenient source, but you’ll need to remember to take the Olympus cable with you. It’s the same arrangement on the Nikon COOLPIX AW130, except with a standard USB port on the camera, making it a little more flexible. The TOUGH TG4’s built-in flash has four modes – auto, red-eye reduction, fill-in and off and has a maximum range of 7.9 meters at the wide angle setting at 1600 ISO. The TOUGH TG4’s 4x optical zoom has a 35mm equivalent range of 25-100mm. You can see the field of view at both extremes of the zoom range below. Zoom ranges in conventional compacts have grown to the point where a 5x, 8x or even longer zoom is considered more or less standard. But zooms in water-proof compacts are restricted because they need to operate in a confined enclosed space; they often employ ‘folded’ optics, bending the light path internally to achieve a longer focal length than would otherwise be possible in such a limited space. So the 4x zoom on the TOUGH TG4 is average for a water-proof compact. Its sibling the TOUGH TG-860 is a little out of the ordinary with a 5x zoom that starts at a super-wide 21mm and extends to 105mm, while the Nikon COOLPIX AW130 also has a 5x zoom ranging from 24-120mm. The other important lens specification is the focal ratio, or to put it another way the maximum aperture that the lens diaphragm can be opened to. 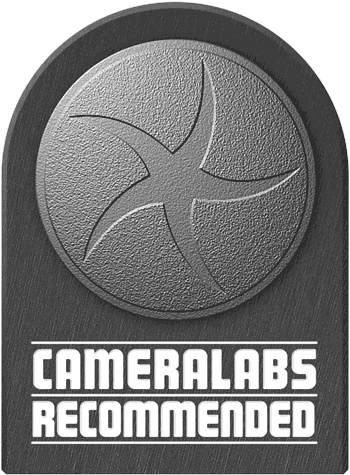 This is important on any camera as it determines the quality of shots in low light, or indeed whether you’re able to shoot at all. It’s even more important when shooting under water where the ambient light level is always lower than it is above the surface. Here’s where the TOUGH TG4 really shines. Its maximum aperture at the wide angle setting is a very bright f2, closing to f4.9 when fully zoomed in. By comparison the TOUGH TG-860 manages f3.5-5.7 and the COOLPIX AW130 f2.8-4.9. To put that in context, if you were shooting with the TOUGH TG4 and COOLPIX AW130 at the wide angle setting in the same conditions, you’d be able to shoot at 400 ISO on the TG4 where you’d need 800 ISO on the AW130, or over 1000 ISO on the TG860. If you twist it anti-clockwise the lens bezel on the TOUGH TG4 can be removed (even underwater) and in its place you can fit filters and lens adapters via the CLA-T01 lens adapter. There are two lens adaptors available, one a fish-eye and the other a 1.7x teleconverter that extends the focal length to 170mm. Above left: 100% crop, 4.5-18mm at 18mm, 1/10, 100 ISO, IS off. Above right: 100% crop, 4.5-18mm at 18mm, 1/10, 100 ISO, IS on. The TOUGH TG4 lens features optical stabilisation which can be turned on or off from the camera menu. To test it I zoomed the lens in to its maximum 100mm equivalent and took a series of shots at progressively slower shutter speeds with the stabilisation turned off and then with it enabled. As you can see from the 100 percent crops above, it’s possible to hand hold the TG4 and get sharp shots down to 1/10th, a little over three stops slower than you’d expect without stabilisation. The TOUGH TG4 has five movie modes in all with a best quality 1080p30 setting plus 720p and VGA (640 x 480) options also at 30fps. The maximum single clip recording time for the 1080p and 720p modes is 29 minutes and movies are encoded using H.264 and saved to the card as QuickTime .mov files in the same folder as photos. There are also two high speed (i.e. slow motion) modes recorded at lower resolution: the 120fps mode records at VGA (640 x 480) resolution and plays back at one quarter speed and the 240 fps mode records at QVGA (320 x 240) resolution and plays back at one eighth speed. The maximum recording time for both high speed modes is 20 seconds, giving clips of one minute and twenty seconds and two minutes forty seconds respectively. The TOUGH TG4 has a dedicated movie record button on the rear panel just to the right of the thumb rest, black bands appear top and bottom of the screen when you’re recording in 16:9 HD formats, so you need to frame your shot carefully as there’s no framing guide available for movie shooting. You can use the optical zoom during movie shooting and the TOUGH TG4 has movie IS which operates independently of the stills stabilisation. Exposure control is fully automatic, but you can set the audio recording to one of two levels and there’s also an electronic wind noise filter. You can’t take photos during movie recording though. With 1080 / 60p modes, and 16:9 options for the high speed modes the TOUGH TG-860 is a better choice if you plan to shoot a lot of action video, but the TG4 isn’t far behind. It compares pretty closely with the Nikon COOLPIX AW130, which has a best quality 1080 / 25p mode, and a quarter speed 480p option, but no interval timing or time-lapse features. This clip, like the others below was shot in the TOUGH TG4’s best quality 1080/30p video mode. The quality is good, but the AF is quite jumpy and wanders a fair bit bit during the zoom. The TG4’s lens doesn’t cope well when the light is in front of you, notice how the contrast drops considerably when I pan around to the river. For this second clip the camera was mounted on a tripod and stabilisation was disabled. There’s a bit of a wobble when zoomed in, but that’s most likely down to my finger on the zoom rocker, which isn’t the easiest to operate. The AF is still a little jittery, but the TG4 copes better into the light at the beginning of this clip than in the previous one. The TOUGH TG4 does a better job with this low light clip which doesn’t look too noisy. The exposure is slow to react to the changing light conditions, though, and the AF does go for a little wander a couple of times during the pan, though it quickly corrects. For this clip I tested the TOUGH TG4’s continuous AF performance by zooming the lens in slightly and panning from the coffee cup on the table up to the bar and back again. The continuous AF does reasonably well but there’s some strange jittering going on which I’m fairly certain is nothing to do with me. Finally, here’s an example of the TOUGH TG4’s high speed mode in action. It’s great fun for subjects like this and of course you can use it underwater too. The TOUGH TG4 control layout is well designed for use in the water and other demanding environments, but some of the controls are a bit on the small side. The zoom rocker is tucked between two plastic protrusions just to the left of the shutter release and I found it a bit fiddly. But the control pad is better – the four cardinal points rise upwards and have a plastic lip and the OK button is big and clearly labelled. Best of all, the TG4 features a dedicated position on the mode dial for underwater shooting, which is something of a rarity, surprising as that may sound. With the exception of the TOUGH TG-860, all the other models tested lack a mode dial so if you want to switch modes a trip to the menu system is involved. It sounds like a small point, but for snorkelling, coasteering and lot of other water-based activities, even just swimming and larking about, if you’re taking photos above and below the surface, having to constantly switch modes via a menu can be a chore. When you do have to make use of it, the TG4’s menu system is one of the best designed on any underwater compact. Press the OK button at the centre of the control pad and you can navigate eight function menu options displayed down the right side of the screen each of which activates a fly-out menu when selected. All the really useful stuff is here including picture mode, white balance exposure compensation, ISO sensitivity, drive mode and Image size. You can directly access the exposure compensation, flash and drive mode options on the menu from top, right and bottom positions on the control pad. It’s a shame there isn’t a dedicated button for ISO sensitivity, which takes four presses on the down pad to reach, though you can reduce that to two by pressing the drive mode button and going up one. You can do all of this without any button pressing whatsoever though. The TOUGH models all feature Tap control, allowing you to make function menu selections just by giving the camera a sharp knock – much more easily managed with wet, cold or gloved hands than pressing buttons. A tap on either side of the TOUGH TG4 activates the function menu and you can then tap on the top, bottom or either side to navigate; a double-tap on the screen confirms your choice and closes the menu. You can also use it to control playback and even to take a shot, though this last function only works in the snow scene mode. Touch screens don’t work well in the water, which is a shame, but the TOUGH TG4’s Tap control is the next best thing. The TG4 has four autofocus modes; Face iESP focuses on a face if there is one in the frame and if not defaults to 25-area AF. Alternative if you set the TG4 to Area AF mode you can manually select one of those 25 AF areas. Spot selects a single central AF area and finally, AF tracking follows a moving object. On the whole the TG4 focuses quickly and accurately, though it often struggled when fully zoomed in. Its strength is that it offers a number of alternatives so if one doesn’t work you can try something else. Most people will be happy to select Face iESP and leave it at that, but I find being able to manually select an AF area often is very handy. The TG4 also allows you to lock focus by pressing ok button, which saves you having to keep your finger half-pressed on the shutter release. The TG4 can shoot continuous full resolution images at 5fps for 100 frames. I tested it with a high speed UHS-1 SD card fitted and it fired off exactly 100 shots at a regular pace, though it became a little erratic for the last thirty. I timed the first ten at exactly 5fps, as good as Olympus says it is. 5fps isn’t bad for full frame shots on a compact. More importantly, the TOUGH TG4 gives you 100 frames, that’s enough to capture 20 seconds of action. 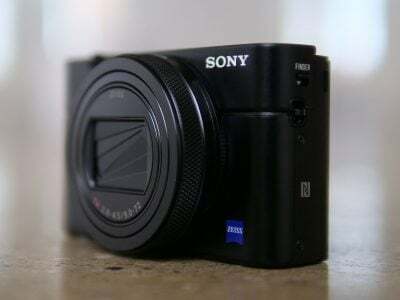 Not many compacts are that generous, the COOLPIX AW130, which is more typical, is limited to 5 frames at 7fps or enough for a less than one-second burst. If you like taking close up pictures of small things the TOUGH TG4 won’t dissapoint you; it has the best macro shooting features of any compact I’ve seen, water-proof or not. Switch the dial to the Super Macro position and the TOUGH TG4 can close focus to 1cm. Better than that, you can use the zoom and even at its full 4x extent the closest focus remains at 1cm. That not only means you can get bigger shots of very small things, but you can avoid casting shadows on your subject with the camera body. And on the subject of lighting, the optional LG-1 Light Guide attaches to the lens to provide even illumination for macro photography. At such close distances and at longer focal lengths you’ll encounter a problem that is familiar to macro photographers but isn’t often encountered on compacts – depth of field that’s so shallow only a tiny portion of your subject is in focus. You’ll notice on the shot below that even though I’ve not zoomed in a great deal, not all of the ladybird is in focus. The TG4 neatly deals with this problem by adding a focus stacking mode which takes several focus bracketed shots and combines them to produce a single image with greater depth of field than would be possible in a single shot. It’s another great feature for macro photographers to have. Like the earlier TOUGH TG3, the TG4 has built-in GPS and Wifi, allowing you to tag your photos with positional information, wirelessly transfer them to your phone and upload them to the Web and remotely control the camera with a smartphone. There’s also an electronic compass feature and a manometer which measures barometric pressure providing altitude and depth information. Let’s start with the GPS. Like any GPS it provides lat and long co-ordinates of your current position which are added to the image metadata, allowing software to locate your photos on a map. The GPS co-ordinates are overlayed at the top of the screen and you can also display an electronic compass which, as well as telling you which way is North, displays the lat and long co-ordinates, the barometric pressure altitude/water depth and date and time. The GPS can also record a track log; you can’t display your route on the camera but you can use the supplied Olympus Viewer 3 or OI. Track software or a third party application. The TOUGH TG4 features built-in Wifi which you can use to connect to a smartphone for picture sharing, GPS tagging and remote control. To use the Wifi you’ll need the Olympus Image Share app which is currently available for Android and iOS devices; I tested it with my iPhone 6. None of the waterproof compacts I tested offers NFC , but setting up a secure wireless connection with the TOUGH TG4 is made simple using a QR code to generate a connection profile. To start a Wifi connection you press and hold the menu button in playback mode. A QR code is then displayed which you scan using the Image Share app to automatically set up a connection. This worked first time without any problems. There are two connection options, one-time, which uses a unique password for when you just want to share a few selected images with friends, and Private, which allows you to connect using the same password each time. So when using your own phone you only have to go through the QR scanning routine once, after which you just turn on the Wifi and select it from your phone settings in the same way you would any other access point. Once connected the app offers four main options: Remote Control, Import Photos, Edit Photo and Add Geotag. Tapping Remote Control lets you see a live image from the camera and refocus it by tapping on your phone or tablet’s screen. Impressively you can remotely change the exposure mode between iAUTO, Aperture priority, Super Macro, and Scene mode without touching the camera’s mode dial. Depending on the selected mode, you can then tap to adjust the aperture, exposure compensation, ISO and white balance, along with changing the drive mode, and of course triggering the exposure. The drive mode menu also has an option for movie recording which uses the movie mode currently set on the camera. New to the latest version of the app is the ability to configure a basic interval timer or trigger a short movie recording of up to 16 seconds. The interval timer is more like an advanced self-timer, taking no more than ten shots at intervals no greater than 3 seconds, but it’s still a handy update, and you can also configure it to capture bursts (for burst shooting the maximum interval is 30 seconds) or movies instead if preferred. If you choose to record movies remotely with the camera, sadly, you can’t touch the screen to reposition the AF area or pull-focus. Photos can be imported to a smartphone at their original resolution or a range of smaller sizes down to 1024×768, but everything has to go via the phone app, there’s no way to backup files directly to a computer using either a peer to peer connection or via a wireless LAN. The camera is always setup as the access point and, though you can connect to it with devices other than your phone, there’s no way to access images other than with the app. The Olympus Viewer 3 software can’t access the camera even when you’re connected to it via Wifi, which is a shame. The TOUGH TG4 also has a panorama mode with 360 degree and 180 degree options. You can pan left or right, up or down, the TG4 works it out and automatically shoots overlapping images and combines them. Alternatively in manual mode you get to frame and shoot three images which the camera then uses to produce the panorama. And of course it wouldn’t be an Olympus without Art filters. Switch to the Art position on the mode dial and you can choose from Pop Art, Soft Focus, Pale & Light Colour, Grainy Film, Pin hole, Diorama (miniature), and Dramatic Tone art filters. Another way to get to these is via the Picture settings on the function menu. Above left: Grainy Film. Above right: Dramatic Tone. Before we move on to look at the quality results, there’s one final feature of the Olympus TOUGH TG4 that you won’t find on the other rugged water-proof compacts I’ve tested and that’s the ability to shoot camera RAW files. Choose 16M +RAW from the quality settings menu and you’ll get a RAW file in the Olympus .ORF format as well as a full resolution JPEG. Some people question the usefulness of RAW shooting on a compact because the small sensor size means lost highlight or shadow detail is often gone forever and you’re unlikely to retrieve it from any file, RAW or JPEG. To discover if that’s true in the case of the TG4, I shot the scene below using the TOUGH TG4’s RAW +JPEG mode and edited the RAW file in Lightroom CS 2015. The only edits I made were to drag the Highlights slider to its maximum -100, the Shadows to +25 and the Whites to -25 in order to retrieve as much highlight and shadow detail as possible whilst maintaining a natural look. In the table below the left image is the original untouched RAW file and in the middle there’s the version adjusted as I’ve described above. As you can see, I’ve managed to recover plenty of highlight and shadow detail that wasn’t present in the original. And if you’re thinking that might have been possible with the in-camera JPEG, the image on the right shows what happens if you apply the same adjustments to the JPEG; it’s better than the original, but there’s not nearly as much detail in the sky or the tower as in the adjusted RAW file. I’d say that’s pretty conclusive evidence that the TOUGH TG4’s RAW format is well worth having. Plus don’t forget, shooting in RAW also lets you adjust things like the white balance, sharpening and export compression after the event, regardless of sensor size.